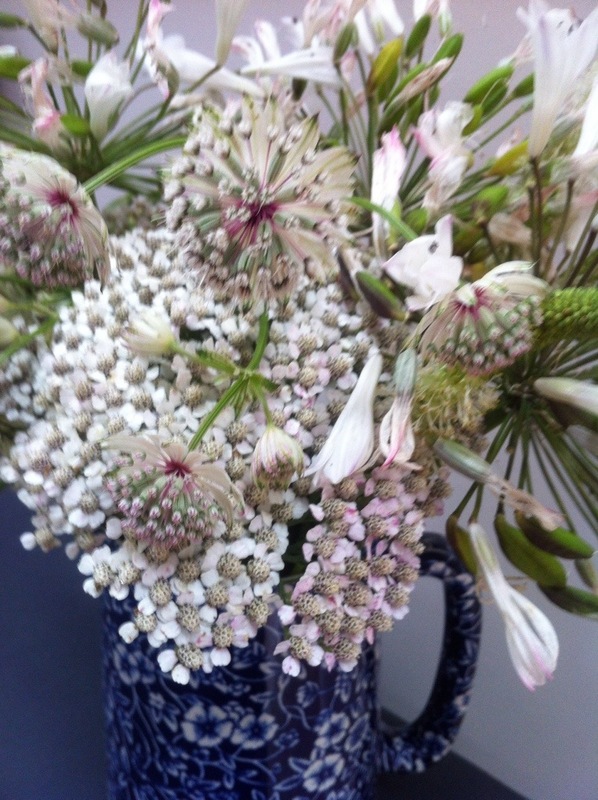 I selected far from perfect blooms for my vase, shades of white which are slightly going over. 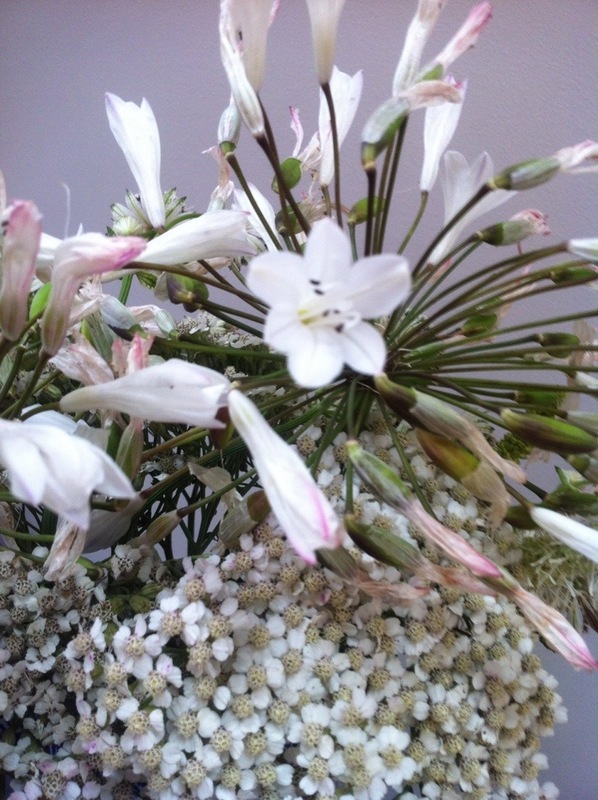 The rain last week seemed incessant and it took its toll on the agapanthus. The poor blooms ended up barely above ground, heads down, weighted with rain, forward in a downward dog kind of way; graceful, calm, yogic . 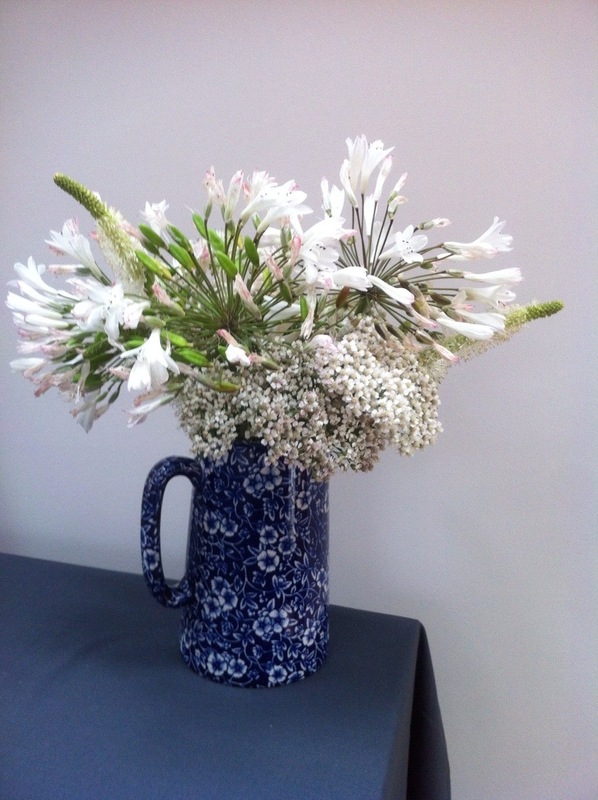 To enjoy and salvage what I can, I collected three blooms. At just over 15cm across they did not leave much space in the vase. 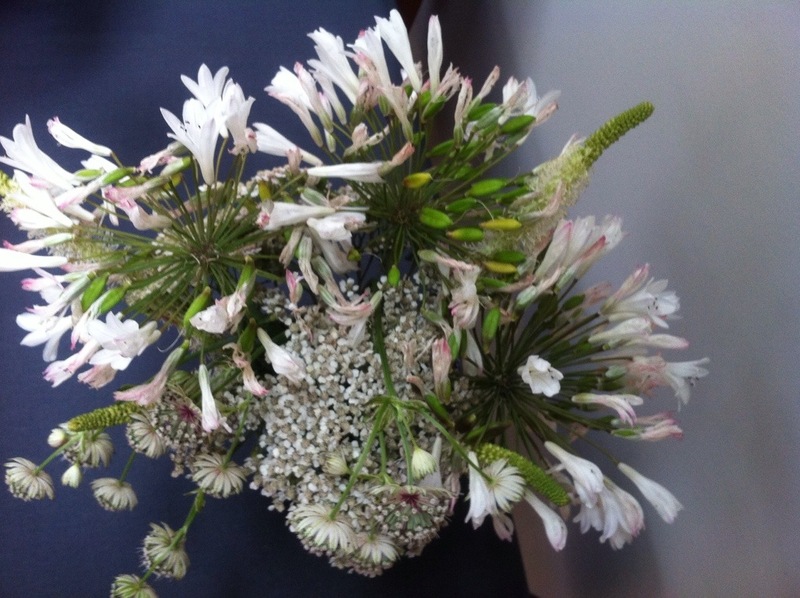 I added shades of white from some Astrantia. 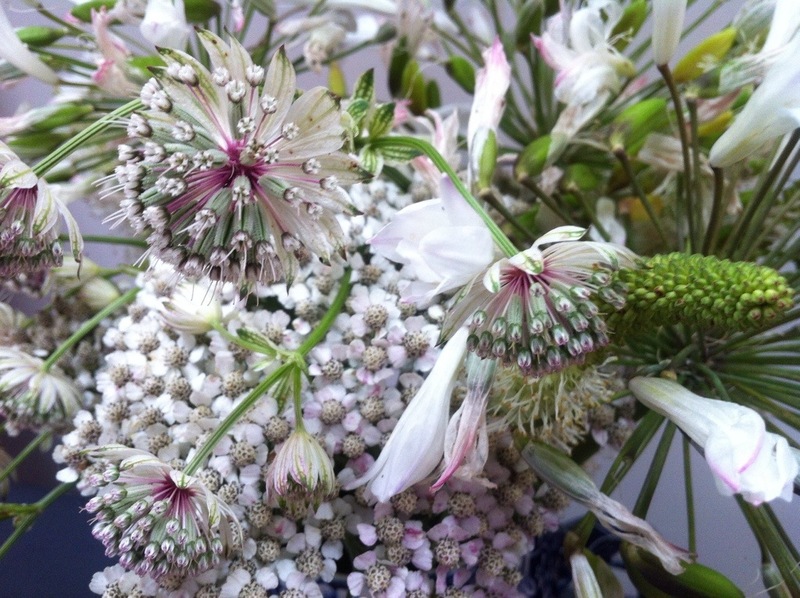 Astrantia might seem , at first glance to be white and yet at close quarters are rather green with dark burgundy centres. The achillea is an unknown variety donated from my sisters garden. Again it appears white but on closer inspection is rather green. It has that distinctive scent which I find rather unpleasant but the insects adore it. Lastly I added some spikes of sanguisorba which I have not cut before so I am interested to see how it fares in water. 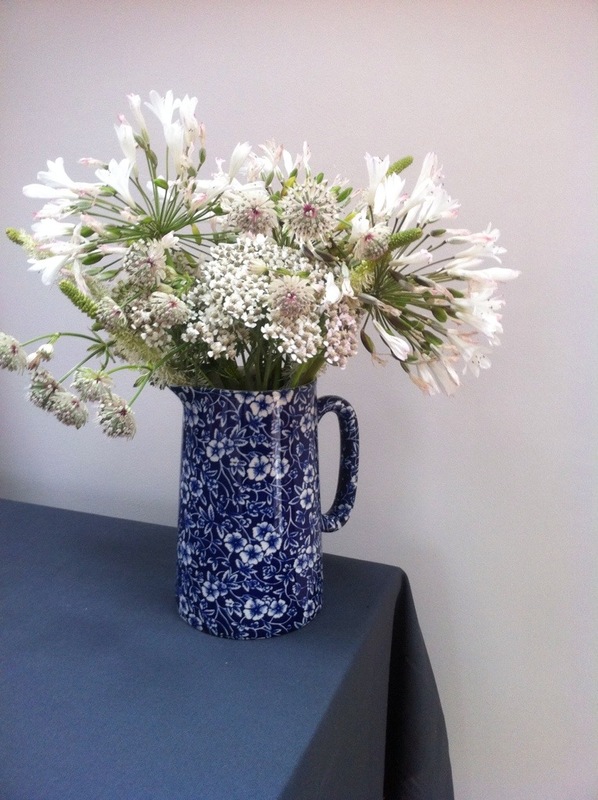 The blue and white jug I have used before and I like how this bunch picks out the white in the pattern. So there you have it folks a vase for Monday, enjoy your week.